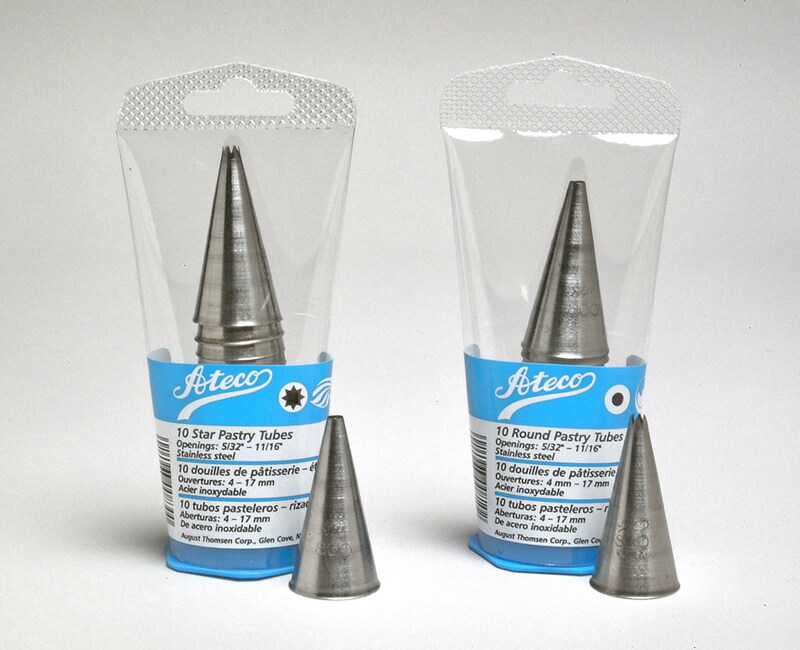 The Ateco #810 Ten Piece Plain Tip Set contains #'s 0-9 Stainless Steel piping tips. These tips correspond to the single item numbers of 800, 801, 802, 803, 804, 805, 806, 807, 808 & 809. These tips can be used for everything from creating small borders and dots to icing cupcakes in one swirl. These tips are designed for the cake decorator to be able to create beautiful cakes & pastries. A protective plastic case holds your tips in one place to keep them all together. The piping tubes can be used without a coupler but they also fit the Ateco medium coupler set. Piping tips may be washed in a dishwasher but are best cleaned by soaking them in hot soapy water and using a Tip Brush to thoroughly clean the interior, rinse & air dry.